No new cars but some good news for Tesla’s Continental customers. Some very discrete technology on the latest Rolls Royce Ghost. Shocking queues at the Gibraltar frontier, refurbed carriages for Eurotunnel truckers, and the parlous state of Italy’s filling stations. No new cars but plenty of new supercharger stations, apart from in the UK. Tesla didn’t bring any new cars to the Geneva Motor Show this week – it’s been a while since anybody saw its upcoming Model X SUV – however, the company brought some bold claims instead. In addition to the thirty new stores and service centres due to open, the company expects a comprehensive network of free superchargers to be up and running in Europe by the end of this year. The word almost was well chosen because there’s no coverage even planned in East or south east Europe. 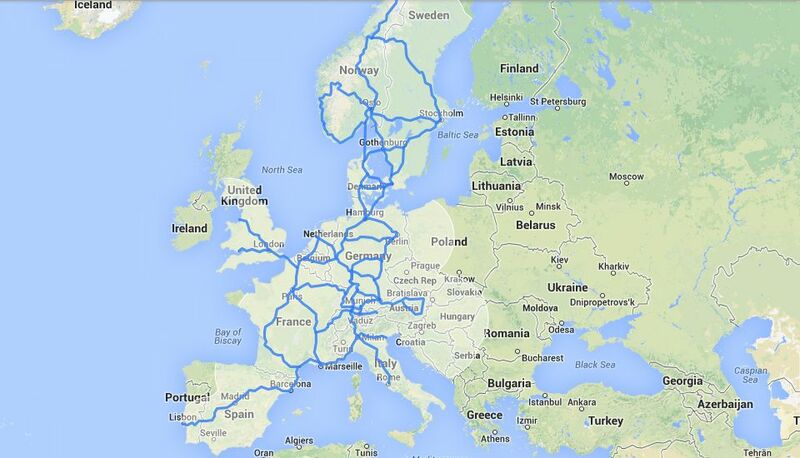 But it will be possible to drive from the absolute north of Norway to Lisbon or Rome (see map below). 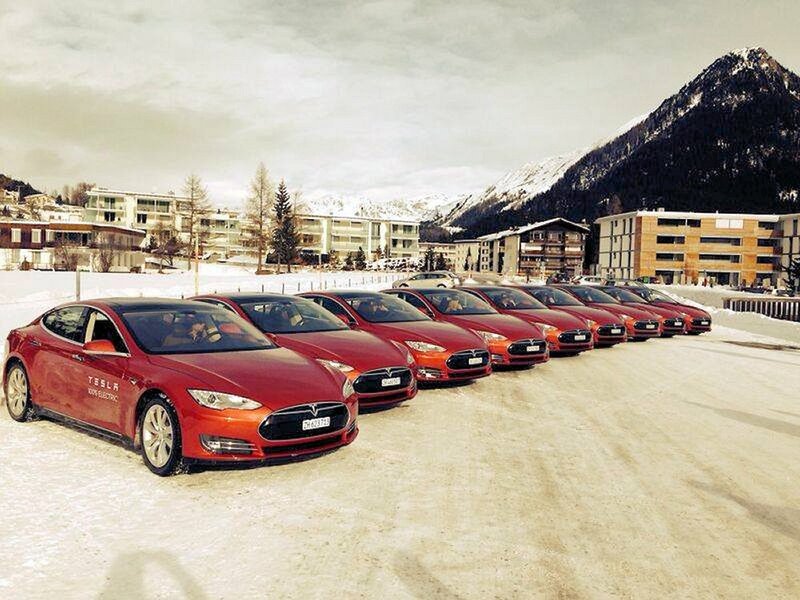 There are currently 14 supercharger stations in Europe, in Germany, Netherlands, Germany and Austria. Six of them however are in Norway. Superchargers can replenish half a charge in twenty minutes, or eighty percent in forty minutes. They are free to use for Model S owners, ‘and always will be,’ Musk has said previously. Meanwhile, Tesla is gearing up to launch the Model S in the UK. Demand in what is expected to be a significant market is not yet clear. There were places available right up until the last minute for demonstration drives in Bournemouth and Leeds this week. The planned supercharger network in the UK so far only stretches from London to Liverpool and Cardiff. Model S prices start at £49,000 rising to £68,700 for the 85KW P85 Performance version. Delivery is currently quoted in ‘4-5 months’. 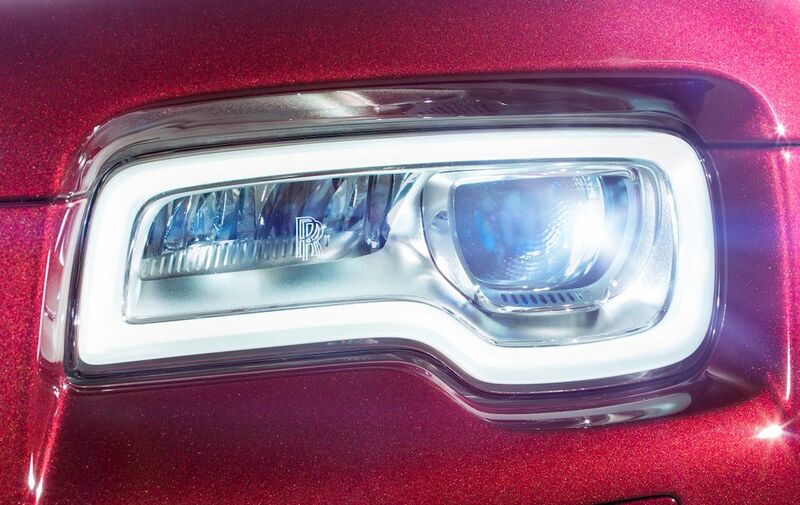 The headlights in the Rolls Royce Ghost Series II, unveiled in Geneva this week, feature ‘glare-free’ technology. Naturally the company doesn’t go into the tawdry details of exactly how the system works, but the effect is to sense oncoming lights and dim automatically while retaining full beam in general (similar to the all-LED lights in top line Audis which dim individual LEDs to do the same thing). Wonder if it works for driving on the other side of the road?